I got this recipe from CoconutOil.com but I am not sure of where the original recipe came form. I’m sure you’ll enjoy them regardless! Melt the coconut oil and add the maple syrup. Whisk and add the cacao powder. 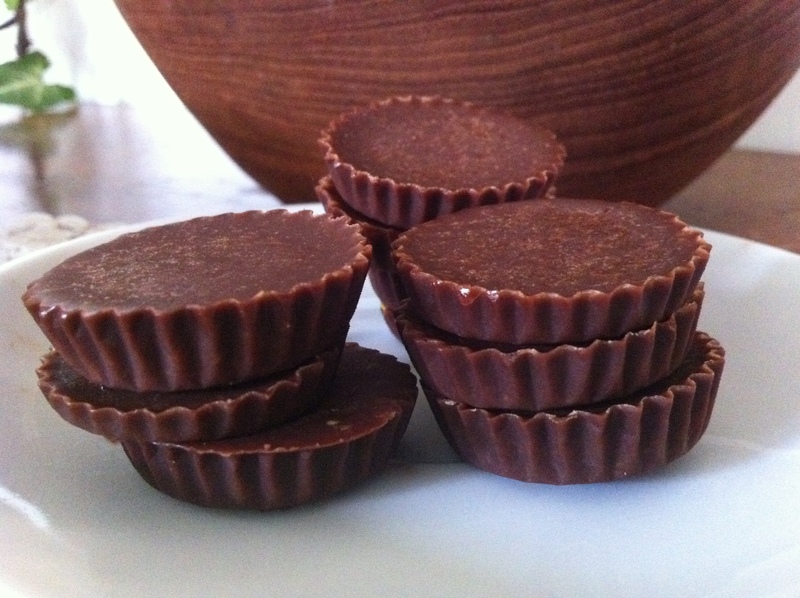 Pour into silicone molds or paper patty pans. You will need to stop and whisk the chocolate from time to time during the pouring process, as the cacao powder does tend to settle in the bottom of the pan. Cool for at least 30 minutes in the fridge or pop in the freezer for faster choccies! 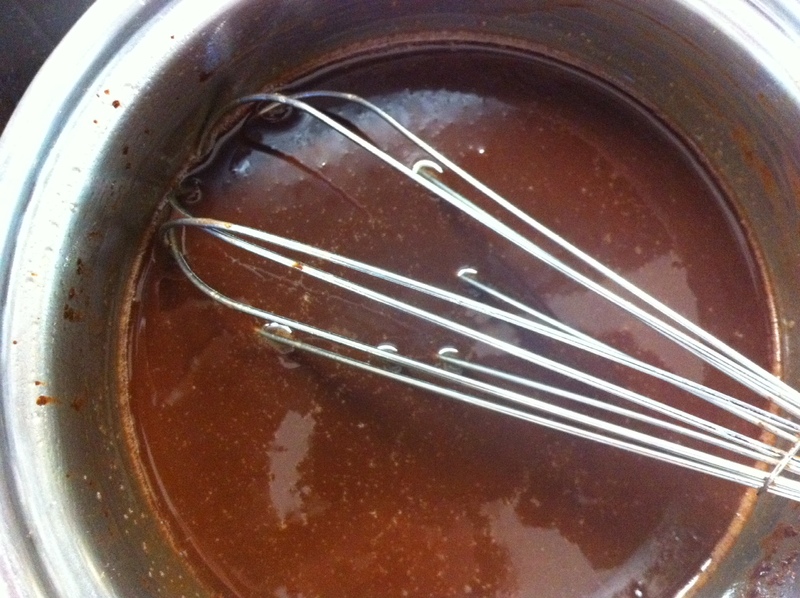 1 Tbsp orange rind whisked into the chocolate before pouring. 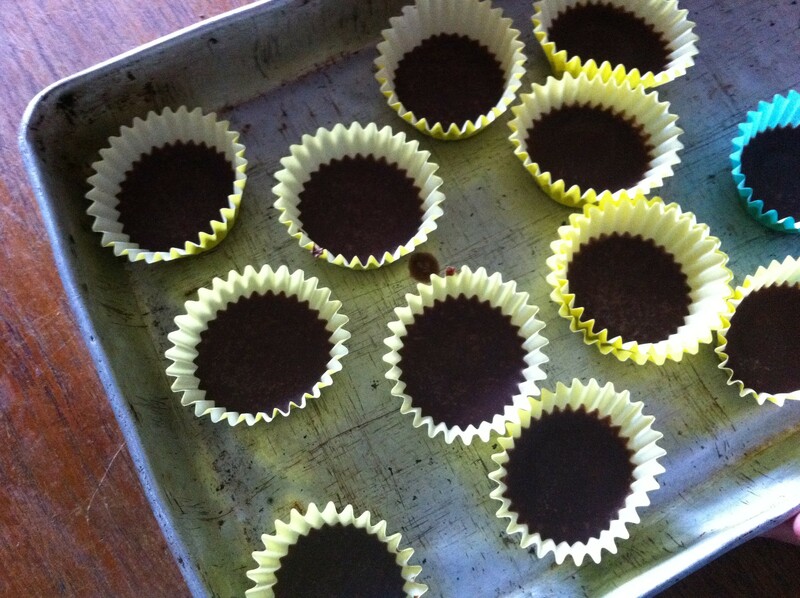 Sprinkle seeds, nuts or dried fruit into the silicone trays and then pour the raw chocolate over them.